« A Gift for me! This is a post for the Mocha Beanie Mummy Silent Sunday – See more of this weeks here! Someone has been looking after their pennies! Nice shiny ones. What fun are you going to have with those? …’this time next year Rodney, we’ll be millionaires.’ Classic quote! good luck! Ooooo, looks like some serious counting?! Oooh we try & save all our loose change! Did you count it all? Is this the aftermath of a piggy bank massacre? Have you emptied your piggy bank? Thats about all mine would contain too! Money, hey it’s what makes the world go round! It seems very apt right now, seeing as everything is so expensive and we all have to count our pennies. I rarely have change (annoying in car parks etc!). I’ve got jars of these things, need to count them up. I could have enough for a cup of coffee. Contents of your piggy bank? It is the contents of my ‘Froggy Bank’ unfortunately not a lot to bag up, so it all ended up back in! Money, money, money!! Penny sweets? Bwah ha ha @ him up norths comment! Yep that’s about how big my vacation fund is too! Fun picture! Find a penny pick it up… you must be very lucky! A few years back my Dad and brother were moving to a new house. They told my youngest brother he could have the spare change in the kitchen junk drawer, thinkin there’d be maybe a tenner in there for him. 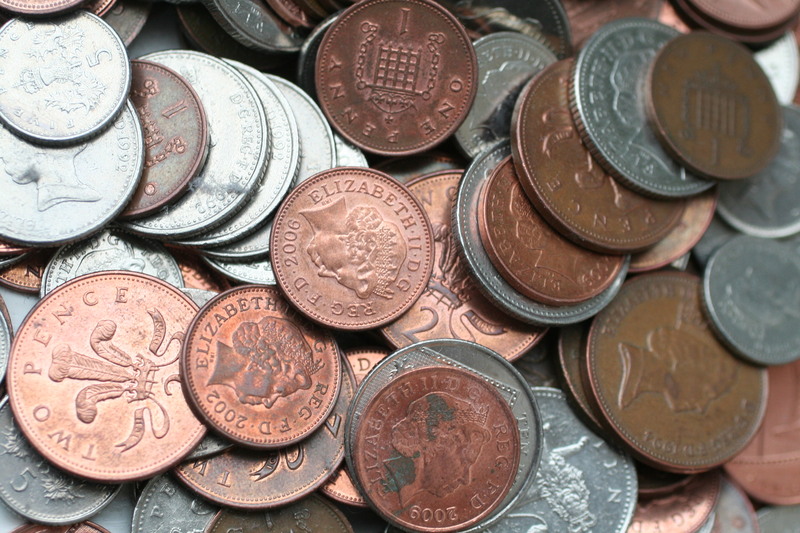 Turns our there was nearly £90 in there in 1p, 2p, 5p & 10p pieces! He bought a DVD player and my Dad and oldest brother learnt how to save their spare change, LOL! One of my favourite gadgets is my money sorted – you just drop all your loose change in the top and it sorts all the coins by type! I could sort that little lot for you in no time!